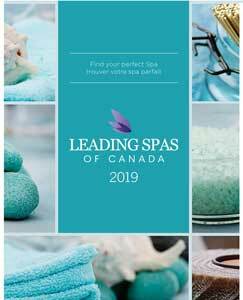 2019 Spa Light Award Winners | Spa Inc.
To be flawless and perfect in almost every way – that dream became real for the winners of the 2018 Canadian Spa & Wellness Awards, a yearly program to recognize 25 spas that represent the crème de la crème of the Canadian spa industry. 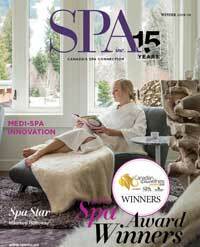 A panel of industry influencers judged the submissions – three times as many as last year – for the competition, which is a partnership between Leading Spas of Canada and Spa Inc. magazine. Business aspiration: Driven by a healing spirit, the family-owned business was expanded from its original Inn to include an award-winning spa where guests experience a caring, family-like atmosphere. Nestled in the panoramic Monteregian Hills in southern Quebec, BALNEA opened its doors in 2005. A range of beautifully appointed cabins and structures – set in natural surroundings with hiking trails – house services such as massages, local cuisine, yoga and unique thermal experiences. Victoria’s only oceanfront spa, the Boathouse, features three heated outdoor mineral baths situated on the edge of the Salish Sea, with a view of Mt. Baker. Treatments at this luxurious seaside retreat, reminiscent of European baths, include nourishing body wraps with organic seaweed and intertidal glacial clay. Body Blitz arrived on the scene in 2005, opening a second and larger 22,000-sq.-ft. location in 2012. Known for its therapeutic water circuit, a course of warm and hot salt pools, cold plunge pool, eucalyptus steam room and infrared sauna, the spa offers signature body scrubs, muds, body glows and massage treatments. Breathtaking views of both the Canadian and American falls, from an infinity hydrotherapy pool, immerse guests into complete relaxation and tranquility in a 2,500-sq.-ft. space featuring natural stone elements and warm exotic woods. Soothing sights, scents and sounds enhance the atmosphere. At 30,000 sq. ft., Dol-ás Spa and Fox Harb’r Resort offer plenty of room to relax and rejuvenate. Located on the coast of the Northumberland Strait, each of the spa’s eight treatment rooms offers a view of the ocean. Guests love its unique Fox Harb’r Signature Facial and the view of sea cliffs while enjoying a stimulating massage in the Gazebo, weather permitting. The 40,000-sq.-ft. Elmwood Spa is an urban oasis in the heart of Toronto, offering an array of spa services and packages in a historic building it has occupied since opening in 1982. Strong Thai influences are apparent in the five-storey structure and its 34 treatment rooms. The Elmwood prides itself on reinterpreting traditional techniques for contemporary society. With a reputation for luxury, quality and customer service, Glow Medi Spa opened in Yorkville in 2001 and has since grown to include locations in Aurora and Markham. Founder/owner Dr. Diane Wong and her team offer non-surgical aesthetic services, laser and light (PicoSure and Sculpsure), anti-aging and spa treatments, as well as SculpSure under-chin fat reduction treatments. With 20,000 sq. ft., the Grotto Spa features a warm water mineral pool and cool waterfall to detoxify the body and rejuvenate the spirit. Treatments include facials, body wraps, body glows, massages, manicures and pedicures, many with a focus on West Coast natural ingredients. Hammam Spa, which opened in 2005, brings old-world rituals and ancient relaxation techniques to the fast-paced corporate crowd, using contemporary technology and design to create a truly unique relaxation experience. The senses are wholly enraptured in its 8,000 sq. ft. and 10 treatment rooms with candlelight, incense, music and flowers. 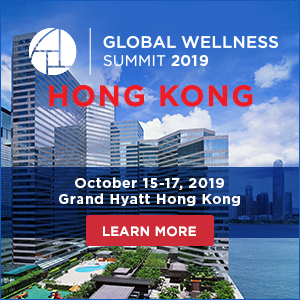 Since opening its doors in 2015, iwa Spa has offered a Zen-like experience with a wide range of wellness-inspired services, creative spa packages, retail and a unique yoga practice in the warm volcanic rock studio. Ganban yoga is based on a centuries-old Japanese method of body cleansing and detoxification called ganbanyoku, also known as “stone bathing;” it is not available anywhere else in Canada. A completely restored 17th century Augustinian monastery, Le Monastère des Augustines is an authentic heritage haven of health and wellness with workshop, spa, museum, restaurant, hotel and accommodation. Located in the heart of old Quebec City, the establishment features 33 rooms restored in the spirit of monasticism as well as 32 contemporary rooms. Since its founding in 2000, Rosewater Spa has never lost sight of its mission to inspire serenity and offer the benefits of therapeutic massage and restorative body and skin treatments. Seven treatment rooms, five luxury pedicure thrones and a private eucalyptus steam room are just a few of the amenities that help achieve this mission. Situated on 25 forested acres of birch, maple and pine trees, Scandinave Spa has expansive views of the Niagara Escarpment. Baths include a Finnish sauna, eucalyptus steam room, thermal and Nordic waterfalls, hot baths, cold plunges and relaxation areas, all enhanced by the smells, sounds and sights of nature. Dedicated to healing, restoration and rejuvenation, this 20,000-sq.-ft. spa offers breathtaking views from the 17th floor of JW Marriott Parq Vancouver. Treatments are holistic and natural, designed to calm, indulge, invigorate and renew. The space offers five treatment rooms and one couple’s room. Nestled on a rolling green hill overlooking the marina, river and the surrounding forest, the Spa Fairmont Le Château Montebello in Quebec incorporates panoramic vistas of nature. Among a rich menu of treatments, the spa pays homage to the traditions of old Quebec with its signature Maple Sugar body scrub, enriched with B. Kamins’ Bio-Maple. Located on the fifth floor of The Ritz-Carlton in the heart of downtown Toronto, Spa My Blend is a unique luxury spa catering to a wholly personalized experience. It’s one of only two spas owned by Clarins – the other one is in Paris – and includes 16 treatment rooms, two couples’ suites and a beautiful, airy lounge, in 23,000 sq. ft. of hotel space. Open since 2004 and one of the first Nordic spas in Quebec, Spa Nordic Station is steeped in charm, evoked by the surrounding trees and rich antiques within. It expertly combines the power of temperature, water and nature with offerings like forest massages, Finnish saunas, a eucalyptus steam room and Russian banya. Since opening in the fall of 2008, Spa Rosseau has celebrated nature and sought inspiration from the surrounding elements of rock, wind and water. Committed to its mission of renewed health, the spa has a private outdoor swimming pool, hydro spa, men's and women's relaxation lounges and offers water treatments and esthetic services. In 2016, Montreal’s Ritz-Carlton opened a new, full-service sanctuary in collaboration with Spa St. James, transforming the hotel’s basement into a 5,500-sq.-ft. contemporary space. The Spa St. James has 12 treatment rooms and a wide array of menu items, from varying massage styles to exclusive skin treatments to manicures and pedicures. As one of Canada’s largest destination spas, the family-owned establishment in Prince Edward County first opened in 1985, growing from a small local inn to several fieldstone buildings on a 400-acre property. The spa offers a variety of experiences and treatments such as its signature facial, reiki, yoga, Thai and hot stone massage and body polish. Strøm Nordic Spa opened in 2006 and now offers a variety of services including massage therapy, beauty treatments and gastronomy for a total relaxation experience in locations of exceptional natural beauty. With four locations and one more to open in 2019, the spa has stayed true to its mission of rejuvenation and well-being. An urban sanctuary on the 10th floor of the historic Fort Garry Hotel features several treatment rooms in a pristine space, influenced by Middle Eastern therapies. Chief among these is the spa’s Hamam Bath, with staff instructed by Turkish-bath leaders at the Mathilden Bader Bietrebs Hamam in Munich. The Spa at Langdon Hall is situated within a magnificent country estate built in 1902. An indulgent spa service menu features massages, baths, wraps, polishes and other expert restorative, aesthetic treatments and Valmont spa products. Spa visitors are also welcome to enjoy the estate’s amenities. Whether it's a massage, beauty treatment or facial, therapists provide an unforgettable experience in a welcoming setting. The Spa at Nita Lake Lodge recently introduced the state-of-the-art HydraFacial to its roster of services. As a certified sustainable spa, it diverts 95 percent of its waste from waterways and landfills, supported by Green Circle Salons. The Willow Stream Spa offers first-class pampering with the ambiance of a luxurious Roman bath, surrounded by majestic mountain beauty that captures the spirit of the surrounding Canadian Rockies. 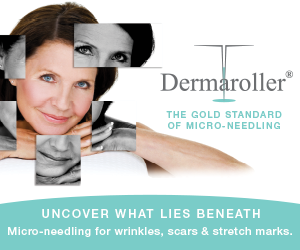 The massive 38,000-sq.-ft. facility opened in 1995 and offers a range of treatments that relieve and restore.